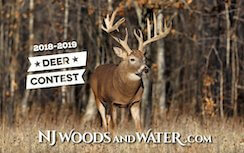 I drove around Assunpink WMA after watching a bass tournament weigh in yesterday and just as I expected, there is an inequitable amount of fields being leased out to farmers that are barren wasteland for wildlife, compared to the "in kind" services of these farmers planting food plots to mitigate their leases. The sorghum plot near the main lake that was glorified to be the mother of all food plots was about the size of parking lot at the Assunpink office. Also, I saw alot of fields that were mowed completely down to the ground providing absolutely zero cover now, when most wildlife need it, and in a few weeks when Spring breaks loose.....not to mention these fields were mowed when small game and some late deer seasons were still open.....thats ok for the farmers as they usually have their own farms and private leases to hunt.....while we are crammed on our WMAs taking on fire.....and it doesn't look too good to have farmers sitting on the Fish and Game Council when they have an monetary interest in farming leased WMA fields. 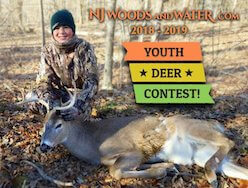 I will be bringing this topic to the NJ Sportsmens Federation to ask the Division for a comprehensive review of the WMA field lease/farmer/in kind services program that appears to be just a money grab for the Division, a win-win for farmers, a lose-lose for license buying constituents and WMA wildlife. And if anyone wants to map out the Northern and Southern WMAs and let me know what they look like so I can present more information to the Federation, send me a PM and we can coordinate some grass roots efforts for accountability and ineffectiveness of this program. If you were a farmer paying to plant stateland , after feeding the wildlife the whole season how much of your crop , that you have left would you allow to go in harvested ? Part of the farming agreement is that they should be required to plant a winter cover crop of wheat or rye after spring/summer crop has been harvested. Its good for the wildlife, good for the soils and cheap to plant. I also agree anyone using the WMA pay for a permit to use it. It would help cover the costs of maintaining the WMA. The state doesn’t care about actual management. They just need woods and some fields so they can sell licenses. The old program allowed for farmers to lease the fields but leave 10% of the crop remaining for the wildlife. State biologists said that it was ineffective because the 10% of the crop that was left was usually the worst part of the crop, like the rows that didn't grow that well behind a hedge row or tree line that had less sun. And my answer to that was....then who hell was monitoring what the farmers were leaving and if it was unacceptable, why the hell wasn't it addressed?? Because the Division is in the driver's seat with this opportunity to farmers and should be able to tell the farmers exactly what to do, or they don't get the lease again. .....and they should have left more like 25% of the crop instead of 10 %. I think the old system was better but again, there was no accountability held by either the farmer or the Division. This new program that allows for harvesting all of the crop and allowing the farmers to perform "in kind" services like planting food plots and mowing is just a money grab for the Division to get as much lease money as they can and the wildlife and sportsmen get short changed!! From what you are describing, both programs lack one aspect, state oversight. ^^^^^^ ^^^^^ Exactly!! Hence the need for some type of grassroots watchdog group to monitor the accountability of what happens on OUR wmas!! Hell....if I win the Powerball or Megamillions this week I will buy up all the leases and show em how its done!!! Lol Get your tix for lotto....cuz ya never know!! If you want this to be a success it’s going to take volunteer efforts. And the reason is simple. If I’m a farmer, and I plant that state field......and the crop fails for various reasons....whether it be animals eating it....drought.....etc.....that 10% I’m expected to leave May be what it takes to turn a profit worth the time, risk, and effort. That’s what you’re fighting realistically. Now if there was some form of volunteer cooperative, which is unlikely do to equipment cost (could always be rented at a reasonable cost), soil amendment cost (possible donations), and then liabilities (that’s for the lawyers to figure out) you could have a complete success. Leave the crop standing the entire season and then replant a nurse crop for the offseason to benefit fawning, polt habitat and so on. That’s the only way I can see this program working. Farmers put a lot of time and money into uncertainty praying for a successful yield. And no I’m not a farmer, but those are the facts. Some valid points and I like some of your thinking....with the key word being "success"...because right now, it's far from a success....unless the Division considers success as selling out our WMAs and taking that money and putting it toward other Division needs ie salaries, equipment, etc. You also bring up a valid point of the potential failure of the crop.....which makes me wonder....are these farmers issued Division depredation permits to shoot deer at night off their crops during the summer!?!? I sure hope not because as a licensed buying constituent who deer hunts WMAs...i would be livid at that kind of nonsense. I will try and get some answers on that one for sure! I do believe to acquire such permits you need to own the farm. Aka if you owned a farm, yourself and immediate family (wife kids etc) can be on such a permit. I don’t think that on leased or contracted land you can obtain the permit.